Cleaning professionals, including custodial staff and janitors working in residential, commercial and industrial environments, are at constant risk of injury and illness because of routine exposure to dangerous chemical substances. contain work instruction procedures designed to limit the likelihood of exposure through unnecessary handling. Chemical hazards should be communicated to workers via clear labelling on cleaning fluid containers, the availability of material safety data sheets and development of a suitable training program. Chemical exposure in humans can lead to a wide range of health problems. There are four potential avenues for entry into the body; inhalation (breathing), absorption (via skin contact), ingestion (eating) or injection, with the former two representing the most likely workplace risk. Inhalation of gaseous chemicals can lead to respiratory problems including wheezing, coughing, sore throat, asthma, internal chemical burn and mucous membrane damage, as well as additional problems like dizziness, nosebleeds, nausea, vomiting or diarrhoea. Even when not inhaled, external exposure to fumes can cause eye and skin irritations. The problem is worsened when cleaning products are mixed – combining bleach and ammonia, for example, can lead to severe lung damage and even death. Skin contact is also problematic, giving rise to allergic responses including dermatitis or rash, as well as chemical burn and cyanosis — a bluish discolouration caused by low oxygen levels in red blood cells. The risk of chemical accidents can be greatly reduced using suitable PPE, including gloves that provide chemical resistance, along with safety goggles. If chemical mixing is required, doing so in a wellventilated area will reduce the risk of noxious fume inhalation. Chemicals that reduce bacterial contaminants. Sanitisers generally reduce contaminants on inanimate objects to safe levels (relative to public health), but do not necessarily eliminate microorganisms such as bacteria, viruses and moulds. Contain chemicals that destroy or inactivate microorganisms that cause infection. These substances are critical for infection control in hospitals and healthcare settings. Are like disinfectants but used in specialised areas that demand sterile conditions, such as operating theatres. These products kill bacterial spores, viruses and germs that may be resistant to the chemicals found in disinfectants. Click here for categories of common cleaning products and their possible side effects (due to inhalation/absorption). 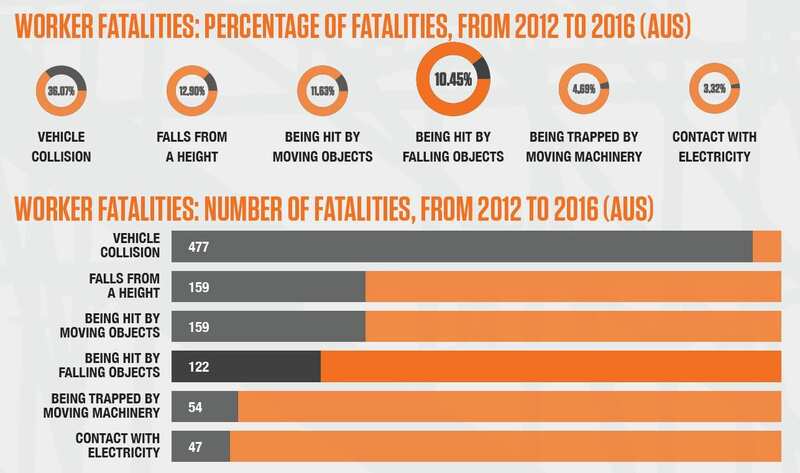 taking too broad a view of the application and environment — and hoping to achieve economies of scale — safety and operational staff may inadvertently introduce significant risk. General purpose gloves are simply not an appropriate choice for janitorial work. 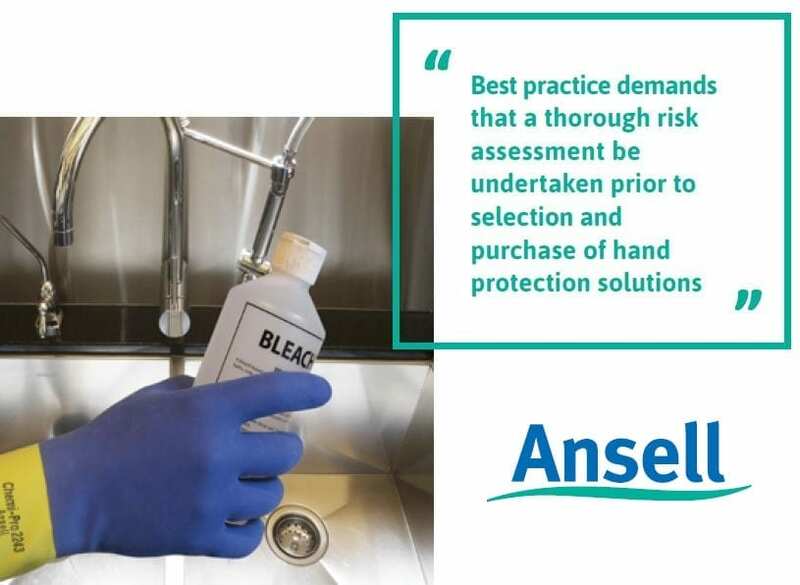 Given the potential severity of health risks, employers much ensure any hand protection used is not only appropriate for the task and environment, but also offers suitable defence against the specific chemicals in the cleaning products employed. Gloves are manufactured in a wide range of materials, each liable to damage or failure by degradation, permeation of some chemical types and other environmental factors, such as temperature. Identifying the most apt option for each application is essential. Vinyl protective gloves are commonly used in cleaning applications as they have gained a solid reputation as a lowcost, low-allergy alternative to natural latex rubber. While no single glove construction material can offer absolute protection against all chemical substances, vinyl is a particularly poor option for janitorial tasks. Though it does offer reasonable resistance to abrasion, vinyl is susceptible to rips and tears, which exposes the wearer to risk of chemical contact and absorption. The presence of plasticizers in vinyl glove construction can irritate the skin and delivers a less environmentally sound option. The material is also unlikely to hold its shape, given its inherent poor elasticity. Importantly in the context of cleaning applications, vinyl degrades when in contact with certain substances, including fatty foods. It is not recommended for use with ketones (including automobile body polish and cleaners, tints and dyes, lubricating oils and surface cleaners) or organic solvents (including tetrachloroethylene used in dry cleaning fluids, toluene and turpentine found in paint thinners and acetone as commonly used in nail polish removers and glue solvents). workplace based on a custom assessment of environmental conditions and hazards. minimise unwanted outcomes, assessment must go beyond identification of general hazards associated with cleaning and isolate specific present chemical hazards, enabling a more informed glove selection process.